REM-sleep dreaming can actually boost your mental health. Dreams have been viewed as a key to the unconscious mind ever since 1899, when Sigmund Freud wrote his canonical text The Interpretation of Dreams. Freud theorized that dreams act as a mental safety valve, allowing individuals to experiment with what it might feel like to act out negative emotions, fantasies, or impulses in a “safe” space, not the waking world. While Freud’s dream theory has been an important contribution in the history of psychology and psychoanalysis, it has since been discredited as unscientific — along with his idea that analyzing dreams can uncover the root cause of a patient’s neurosis, usually a repressed traumatic event experienced as a child. But the purpose of dreams, and their possible connection to both our subconscious and conscious minds, continues to fascinate neuroscientists and psychologists alike. Recent research by leading sleep researchers and psychologists Matthew Walker and Rosalind Cartwright suggests that dreams do have an important role to play in our mental well-being — but not in the way that Freud initially thought. Dreams, Walker and Cartwright have each shown in their separate research tracks, exist to regulate our emotions by reconstructing their relationship with our memories. This regulates our mood when we wake up; dreams are a kind of night-time therapy. Today, we no longer think of sleep as a mode of recharging our batteries by turning our power “buttons” off and enabling period of mental inactivity. Instead, we’ve begun learning that sleep should be regarded as an active part of the body’s 24-hour cycle, during which many essential functions take place in the brain. “Sleep is a mental workshop where emotionally important information is kept active until it is stored in neural networks,” says Cartwright in her book The Twenty-Four Hour Mind, a 2010 publication which draws on decades of research. Sleep researchers at large often point out that everyone needs a full eight hours sleep for the physical health of the body (which includes, by extension, the brain). Anything less can contribute to weakened immunity, diabetes, and mental illness, among other health challenges. Sleep also transforms short-term memory into long-term memory, which is why it’s now regarded as an important part of the learning process — the old adage of “sleeping on it” seems to have been good advice. Dreams are just one element of sleep research, but scientists say they are a key part. Before Freud, dreams were often thought to have their origination in a deity, spirit, or devil. Even though Freud’s dream theories were wrong, he made the important step of locating the origination of dreams in the mind, rather than in something outside of it. Intriguingly, Freud did mention going a step further and locating dreams in the actual physical brain in a lesser-known 1895 work called Project for a Scientific Psychology. Other theories have proposed that dreams are an inconsequential by-product — epiphenomena — of the mechanics of sleep, and have no function or meaning, or that they are simply rehashes of the events of the previous day. Sleep researchers like psychiatrist Robert Stickgold have found these theories to be false. Matthew Walker, who is a professor of both neuroscience and psychology as UC Berkeley, has devoted significant time and energy into analyzing REM-sleep (rapid-eye movement sleep), during which dreaming usually, but not exclusively, takes place. By by using fMRI scans, Walker was able to show that the key emotion and memory related structures of the brain (the amygdala, some regions of the cortex, and the hippocampus, our memory center) are reactivated in REM sleep, after a period of inactivity in NREM (non-rapid eye movement) sleep. Walker eventually concluded that dreaming in a REM state achieves two goals. One, dreaming helps us remember the details of important past experiences by integrating them with the knowledge of the world we already possess, and fitting the experiences into our autobiography, our personal history. Additionally, dreaming dissolves what Walker calls “the visceral, painful charge that had previously been wrapped around those memories.” This is where the therapeutic element of dreams comes into play. For example, a dream might allow us to remember a frightening incident from our past like witnessing a car accident without the same emotional feeling of fear that accompanied the event itself. The REM-sleep dreaming removes the memory of the emotion that we felt during the event, allowing us to remember it without the same emotion we experienced when it happened. Life would be very difficult without this process, as we would always relive our past emotions when we remembered something. 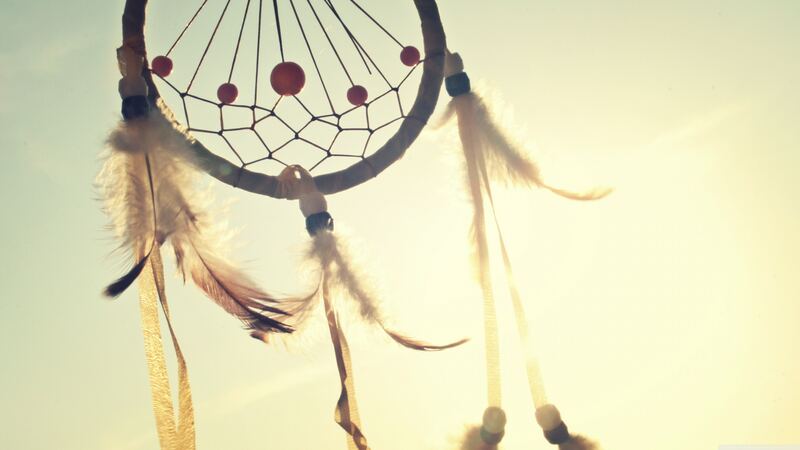 In this way, dreams can actually boost mental health. Cartwright, who is a professor of psychology at Rush University, has similarly found that dreams act as a kind of resolution for strong emotions which disturb us in the day. “[Strong emotions] may not be fully resolved by nighttime,” she writes. The emotional impact of a personal insult, for instance, may be carried over into sleep. “What we experience as a dream” Cartwright further explains, “is the result of our brain’s effort to match recent, emotion-evoking events to other similar experiences already stored in long-term memory.” By putting similar memory experiences together in our brains, dreams minimize the disruptive impact of powerful or tough feelings which might otherwise affect our moods and behaviors in an ongoing way. This, too, is where dreams get their therapeutic potential. Both Cartwright and Walker say that the discipline of sleep research is in its infancy, and we should expect many more revelations about the importance of our time spent in the land of nod. by Daniel R. Weinberger, M.D.